Investment in infrastructure is nowadays a key aspect for India’s economic growth sustainability and a guideline behind many policy initiatives by the Government of India. This will be the primary point of Excon 2017, the largest construction equipment exhibition in South Asia that will be held between the 12th and 16th of December, 2017 in Bengaluru, Karnataka, India. MB Crusher’s branch office, MB India, will participate at this edition with a very interesting news since it will organize a real demonstration area with its machines working: visitors will have the opportunity to understand which kind of solutions MB crusher attachments can bring to their respective construction sites. 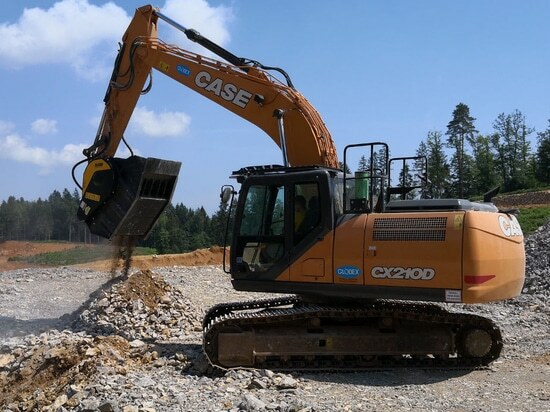 In fact, compatible as an attachment with any excavator and/or loader model and make, MB crusher machines not only provide savings on transportation, but also drastically reduce the amount of other equipment required at site and at the mine/quarry where the materials are sourced. 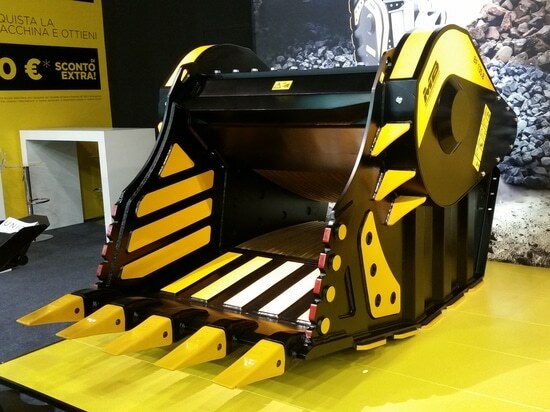 MB Crusher’s machines will be displayed also in Hall 3, in the Italian Pavillon. There are also times when a customer is out in the field and does not have room for an entire crushing and screening plant. MB crusher attachments are ideal solutions in these types of scenario, as a matter of fact scarcity of space is not a limitation for MB but rather a normal working condition. Customers can save time and money out in the field by using just a skid loader or an excavator. 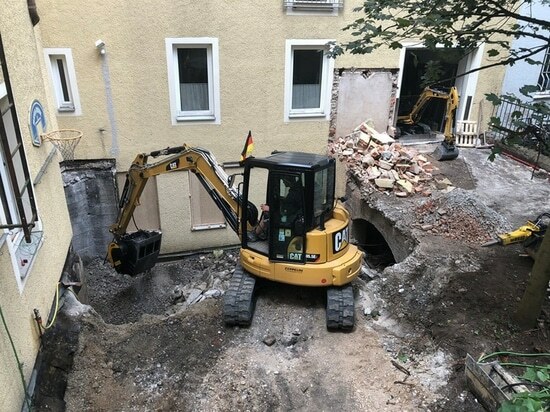 And once the job is done, they can move their MB machines and its crushing capabilities wherever else it is required, thereby avoiding downtime and increasing RoI. Special attention should also be paid to MB buckets used for crushing inert materials that will be subsequently used to form the stabilized pavement for road foundations, or more commonly referred to as GSB. 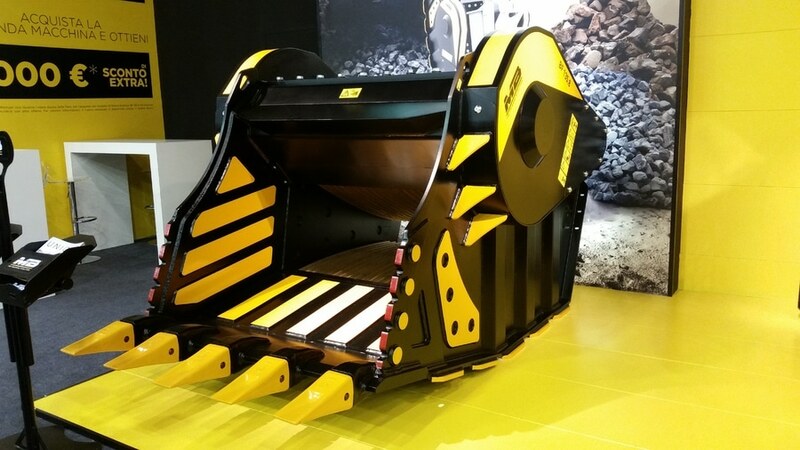 In fact, many companies in India have already chosen the MB crusher bucket as a must-have tool for their daily operations: the demolition and roadwork sector require optimisation in recycling efforts and production of materials to be used, with the use of MB machines one also has the opportunity to sell directly the rubble and gravel obtained. There are many accounts of entrepreneurs who have realized that the profitability of the crusher bucket is comparable to, if not higher than, a regular mobile crusher. With the added advantages of easy installation, unbeatable use and applicability. Moreover, the impact of the crusher bucket is quite different from that of a fixed or mobile crusher: the use of a traditional crusher is often hindered by its size, which limits its use in many urban areas. The crusher bucket, on the other hand, used in conjunction with the excavator, can be employed at all urban worksites, including those located in tight spaces as well as in mountainous or hilly areas, where the use of a traditional crusher would not be feasible first and foremost due to the difficulty in transporting it to the site. 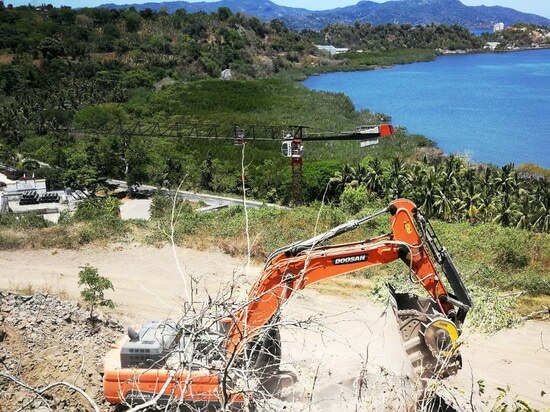 In any event, it should be taken into account that traditional installations always require an excavator for loading the crusher and another piece of equipment to clean the machine, without counting the preliminary operations of logistically setting up the material to be crushed.